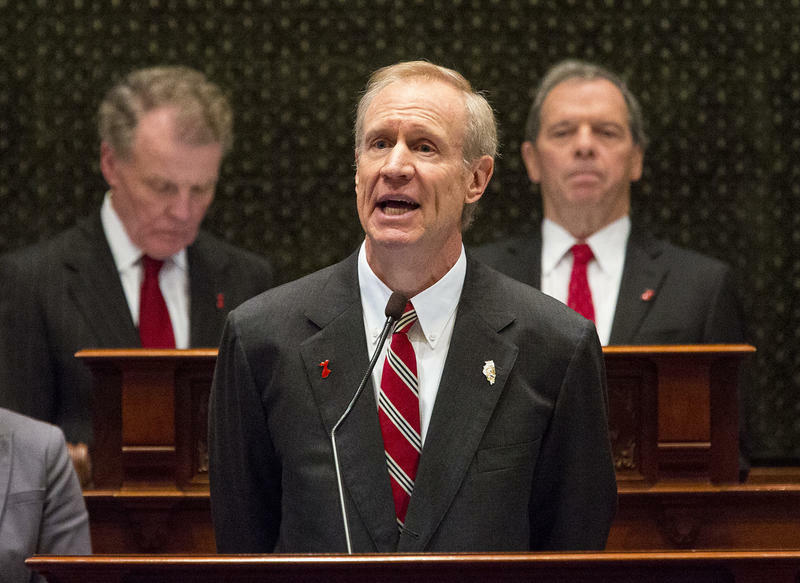 Then Gov.-elect Bruce Rauner speaks with Statehouse reporters in this 2015 file photo. The auditor general’s report found that the governor’s office hasn’t kept track of state equipment, like a missing sofa. It also says the administration couldn’t name who was responsible for a computer that had vanished, or whether it contained confidential information. Rauner’s office told auditors a lot of the missing equipment has been gone since the administration of former Gov. Rod Blagojevich. The audit also found that the governor’s office had outstanding appointments to make on more than half of the boards and commissions it checked. But with hundreds of such groups in Illinois government, filling all those vacancies has been a problem since long before Rauner was governor.